American River College was awarded three $1.1 million grants which will be used to benefit the Science, Technology, Engineering and Math (STEM), Journey and Veterans Project programs on campus. The money was awarded to the campus in July by the U.S. Department of Education through the Federal TRIO program. The TRIO program is designed to reach out to underprivileged students. ARC is the only school in the Los Rios district to receive a TRIO grant. ARC President Thomas Greene outlined how the money from the grants will be spent. 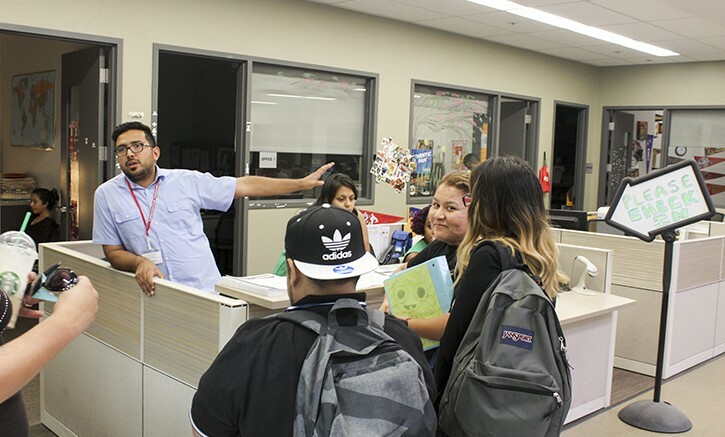 The Journey program, which was established in 2010 following another federal grant, provides services and support for low income first-generation students who are seeking a degree or looking to transfer. Betty Low, project director for the Journey program, described the work Journey does as a way for students to utilize the resources on campus so that they can be successful. Jon Jordan, a student who went through the program and has now returned as a math tutor, compared Journey to the AVID program found at most high schools. Low is eager to put the money to good use and explore more options for the students in the program. In the fall of 2014, ARC was in the process of reapplying for the the Journey program and, due to the success that Journey has experienced over the past five years, the Department of Education decided to write grants for the STEM and the Veterans Project programs as well. Both programs will use the awards to support low-income and first-generation students. However, the STEM programs focus more on students who show an interest in the fields of science, technology, engineering, and math. ARC is in the process of planning a proposal for three new grants in the education talent search branch of the TRIO program for early next year. Be the first to comment on "ARC receives $3.3 million in grants for three programs on campus"